THE PEOPLE UNDER THE STAIRS: Dawn Of The Disenfranchised – Schlockmania! In the right hands, the horror genre can be a potent tool for social and political critique. Wes Craven has shown an understanding of this from his earliest days as a horror filmmaker: both Last House On The Left and The Hills Have Eyes are driven by the clash between two groups of people from different classes. However, the most powerful example of this kind of critique in Craven’s work might be The People Under The Stairs, a film that rivals A Nightmare On Elm Street as his most inventive and unique work. 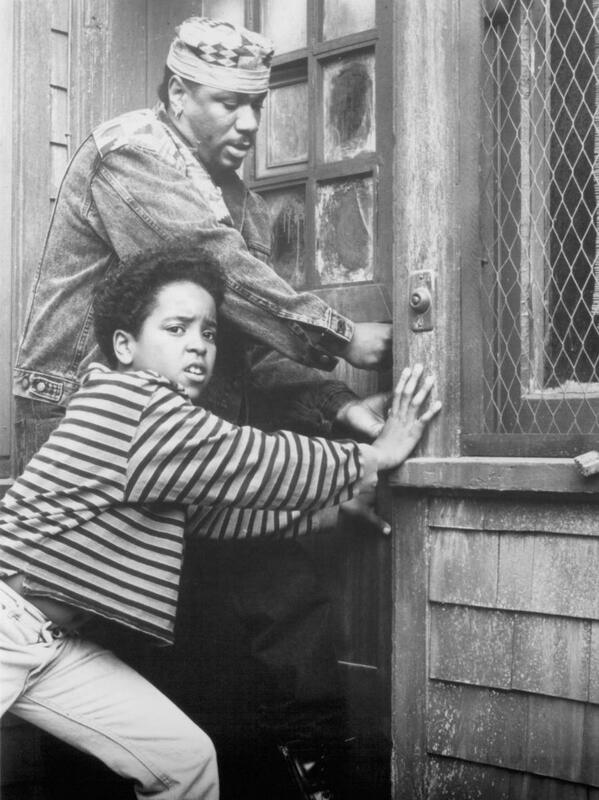 The People Under The Stairs has a fairytale-style setup: Fool (Brandon Adams) is a ghetto kid desperate to get some money to take care of his siblings and his ailing mother. He falls in with Leroy (Ving Rhames), an ambitious thief who plots to rob the old mansion of the landlords who prey on Fool and his neighbors. 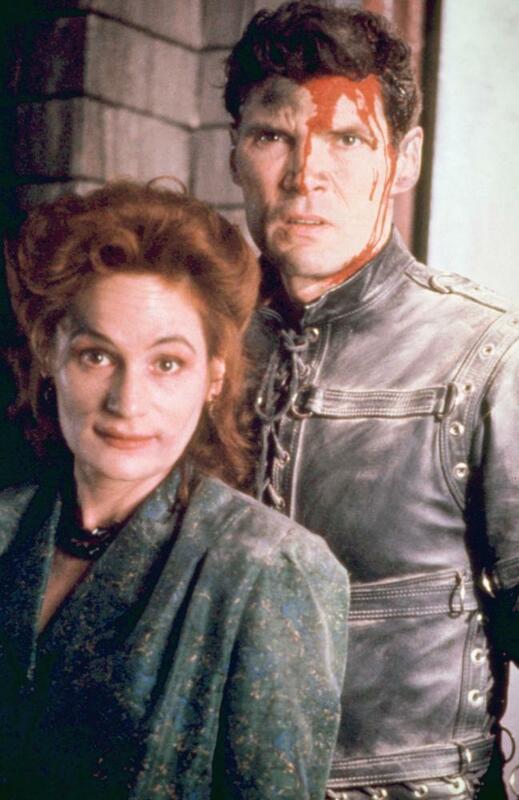 Unfortunately, they discover that the landlords, known only as Man (Everett McGill) and Woman (Wendy Robie), are more than financial bloodsuckers. In fact, they are a pair of creepy cannibals with dark family secrets and a host of similarly cannibalistic subhumans living in their cellar. Fool finds help in the form of evil couple’s daughter Alice (A.J. Langer) but he’ll have to grow up in a hurry to triumph over his resourceful and cruel foes. 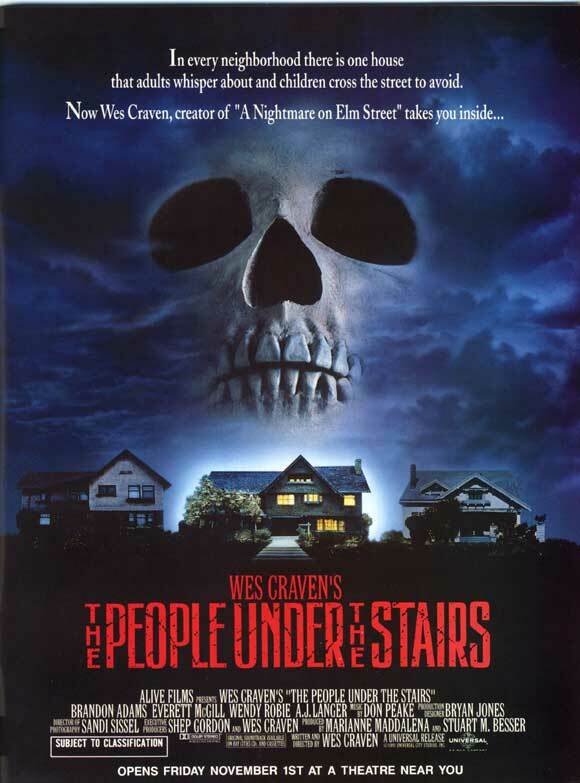 The People Under The Stairs was a hit during its original release and remains one of Craven’s most impressive works. A big part of its enduring appeal lies in his clever script, which mixes Brothers Grimm and shock-horror elements with an pointed, effective critique of how the wealthy prey on the disadvantaged and how middle class attitudes are often a cover for the cruelty and hypocrisy of those who espouse them. It’s pretty heady stuff for an early ’90s horror film and Craven admirably never pulls his punches in putting these ideas across. Better yet, the ambitious themes work in lockstep with the thrills in The People Under The Stairs. Once the film gets to the house, Craven packs the storyline with plenty of cat-and-mouse suspense and brutal skirmishes leavened with the occasional bit of dark humor. They become extensions of his themes particularly in the second half, where it is revealed that some of its monsters still retain a core of human decency worth salvaging. Craven’s direction of it all is confidently paced and stylish without being fussy, nicely using Sandi Sissel’s shadowy cinematography and a shivery score from Don Peake to set the mood. Most importantly, Craven keeps his darkly fanciful tale grounded with a nice mixture of performances. Adams and Langer make a heroic team you can root for, playing the horror for real but finding a kindness and warmth amiddy the chaos that the audience can invest in. Conversely, reunited Twin Peaks castmates Robie and McGill make a deliciously over-the-top villain team: she hits some effective notes of Mommie Dearest-style maternal monstrousness while McGill comes on like a homicidal variant of Wile E. Coyote, terrifying but capable of hilarious slapstick at the same time. Also worthy of note are Rhames in an early role as a manipulative hustler, Sean Whalen as the kindest of the house’s “monsters” and Kelly Jo Minter as Fool’s protective but overextended sister. In short, The People Under The Stairs is a key title that must be considered in any overview of Wes Craven’s work. It delivers all the chills you could want while showing an impressive amount of imagination at all times and a social consciousness that gives the film an unexpected but welcome resonance.